Never feel guilty about singing at the top of your lungs in the shower or in the car because singing is good for you! 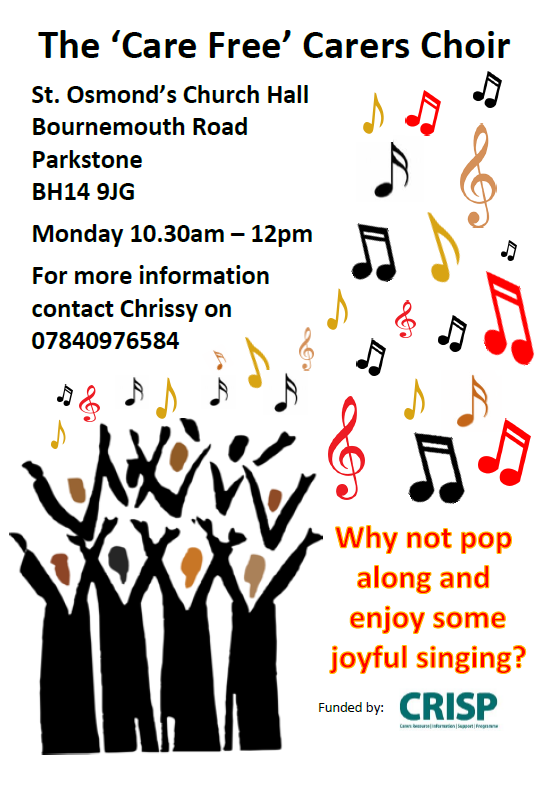 In this episode produced for the Borough of Poole Arts Service we hear the beautiful chorus of the Care Free Carers choir and find out why singing is so important to them. If you’re a Carer and you live in the Bournemouth and Poole area there is lots of support available, visit CRISP for more information and to register for their Newsletter. Debbie Hyde, Chrissy Foster and The Care Free Choir, Sally Baxter and Michelle Keenan.